Begin by being in an experimental mood and a meta frame of mind. 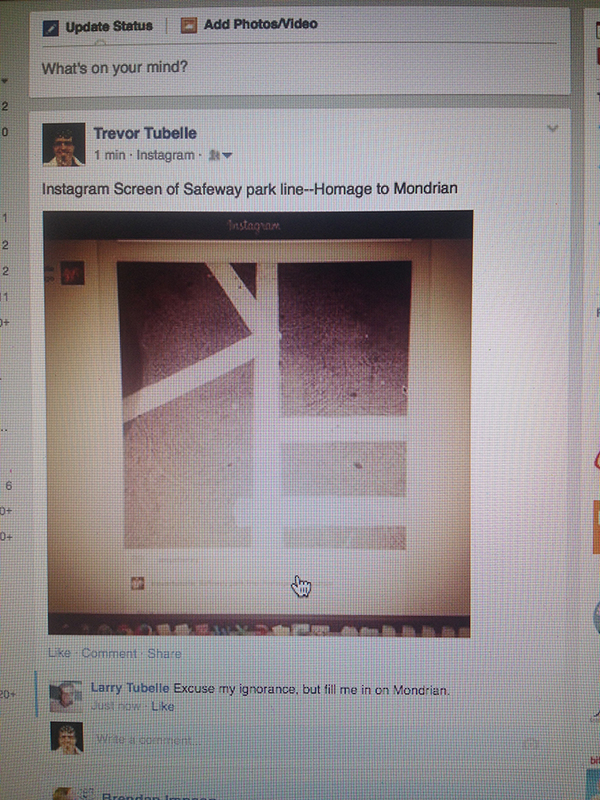 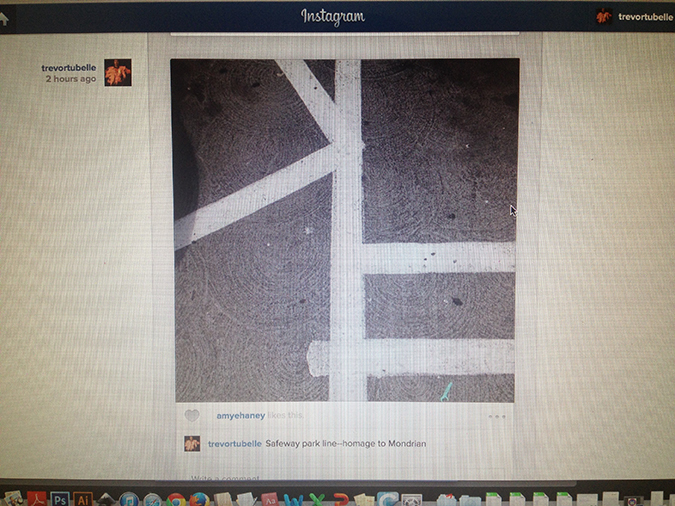 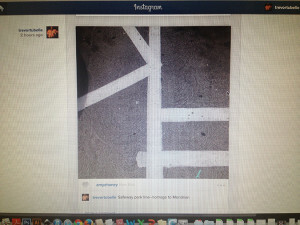 Post a series of photographs called “Safeway Park Lines” on Instagram. 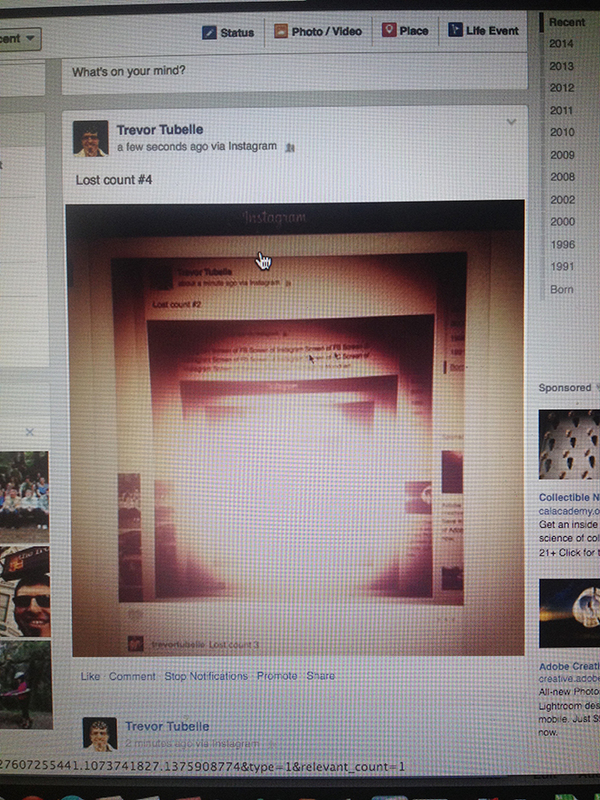 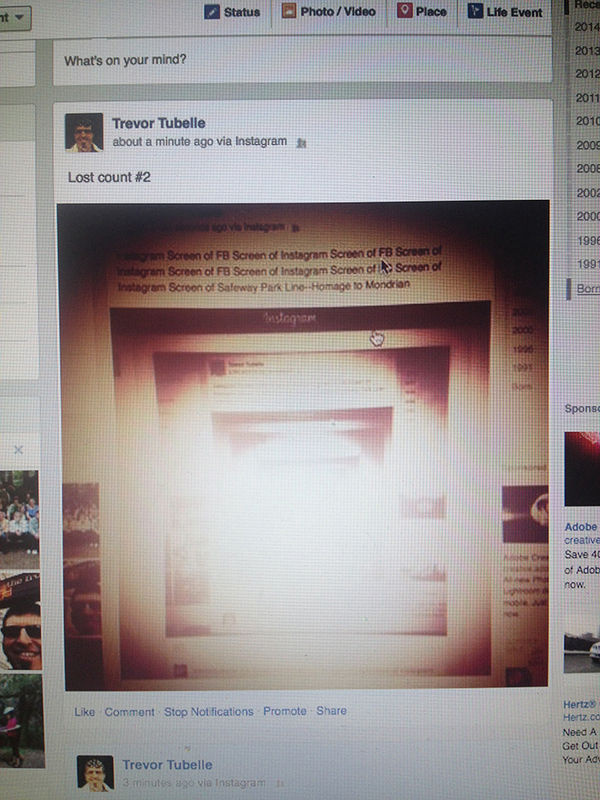 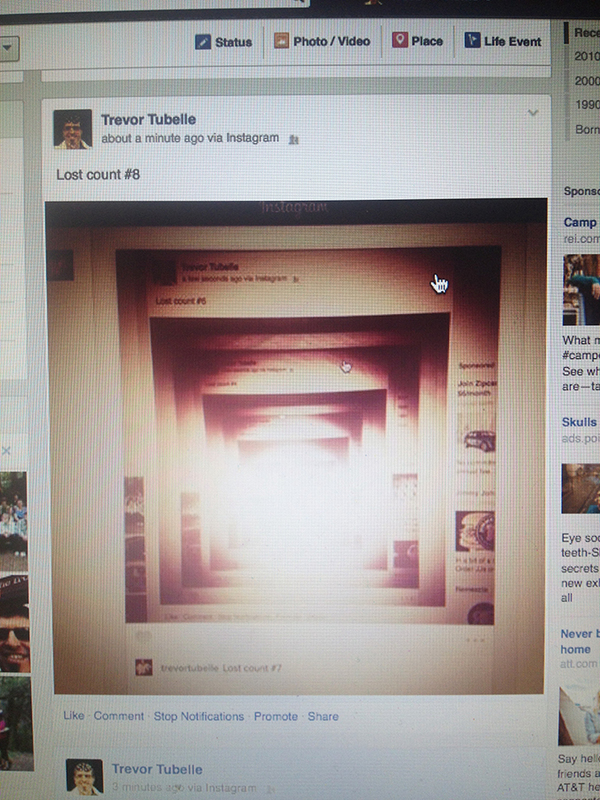 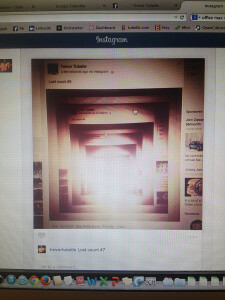 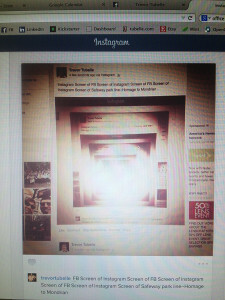 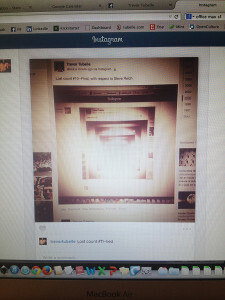 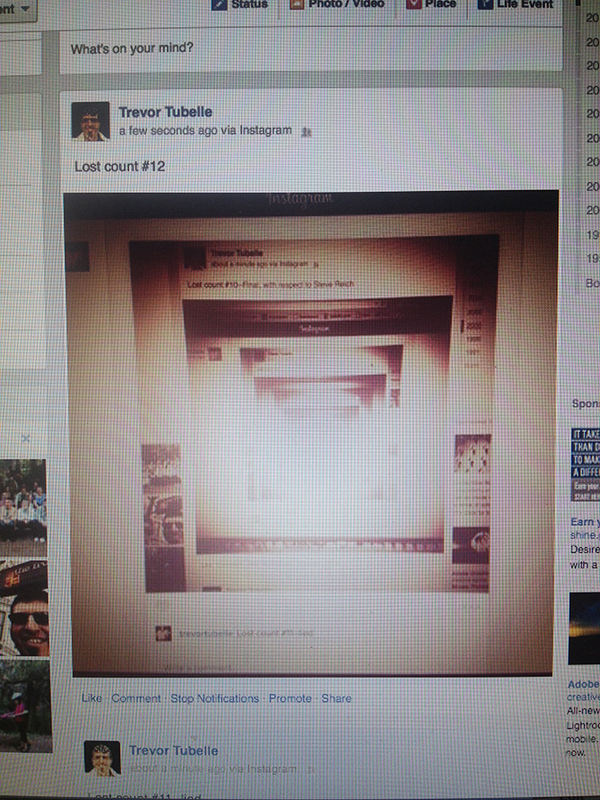 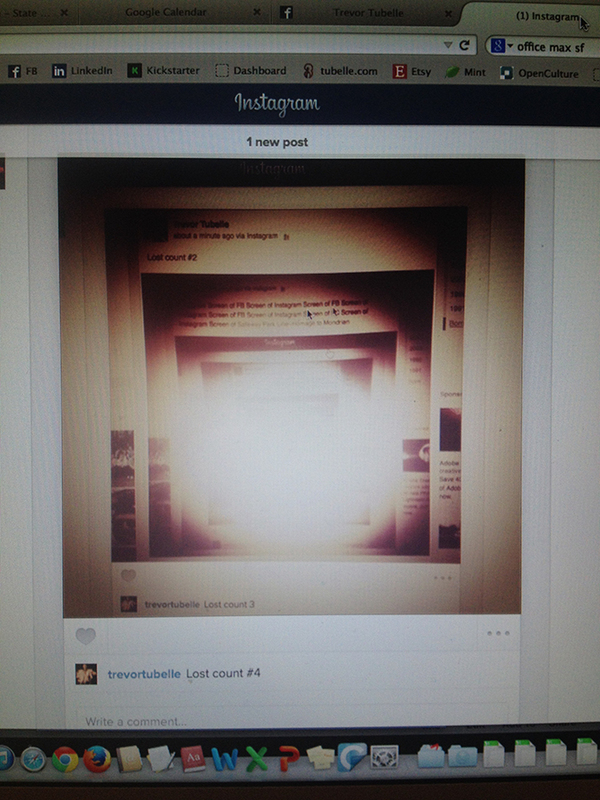 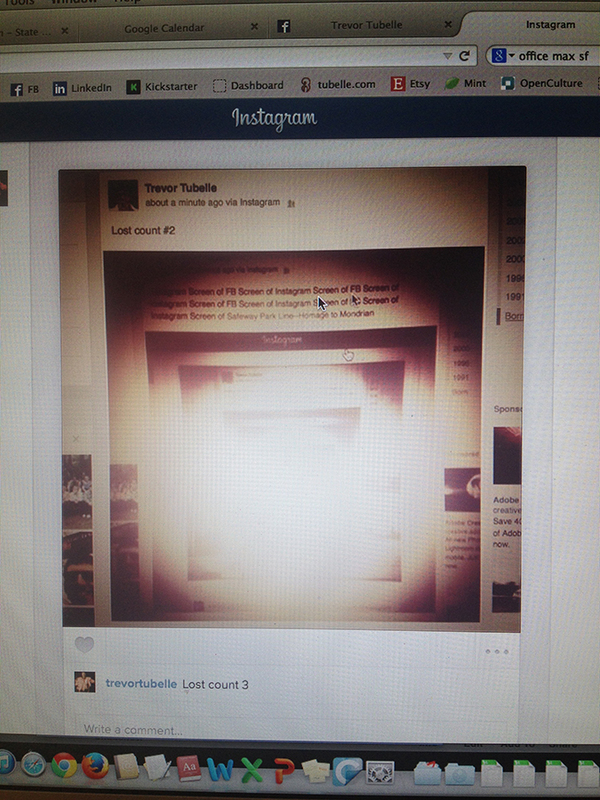 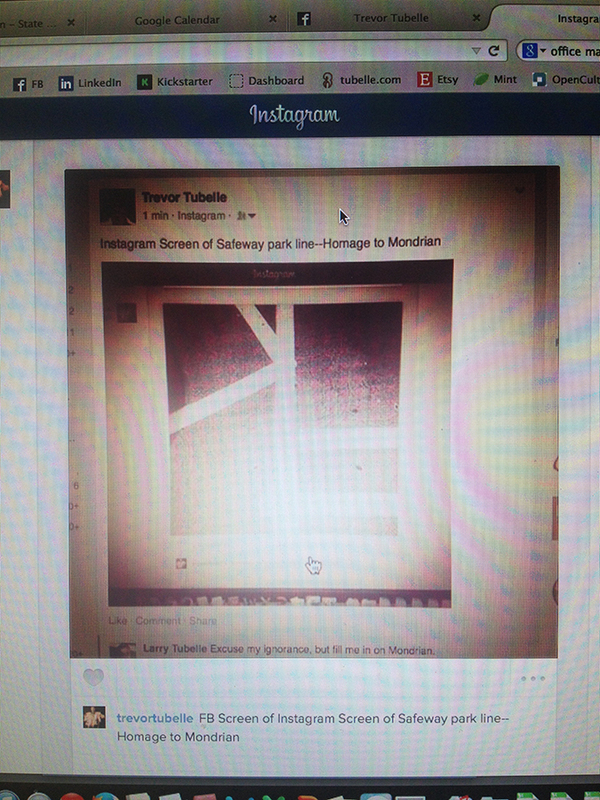 Put the new photo of the screen image of your Instagram post of your photograph on Facebook. 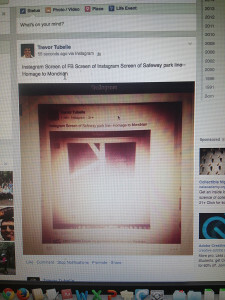 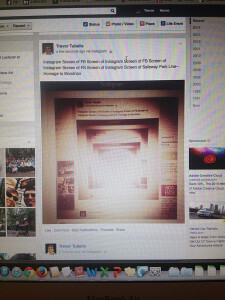 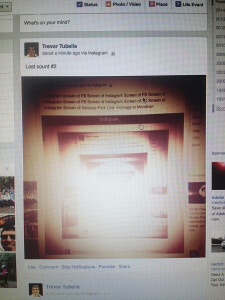 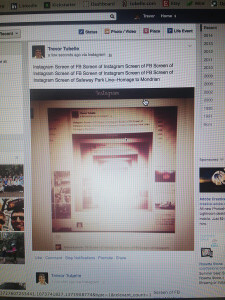 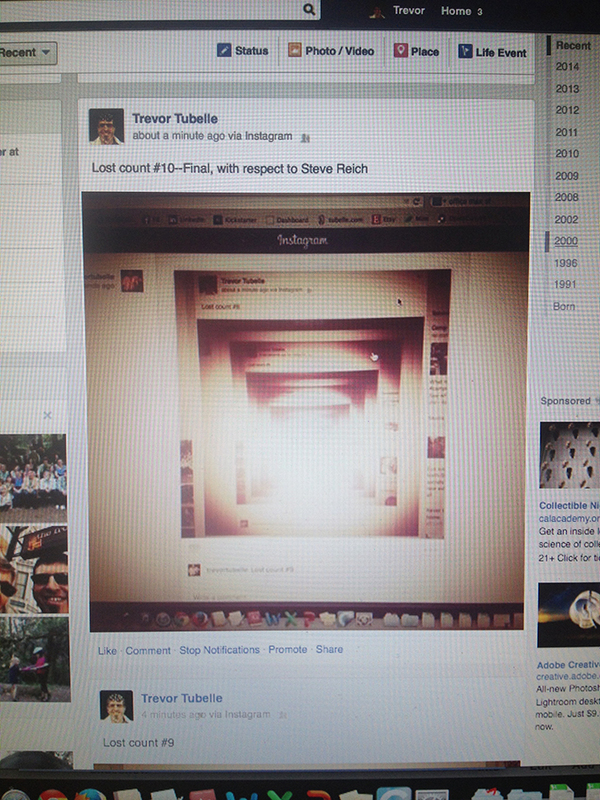 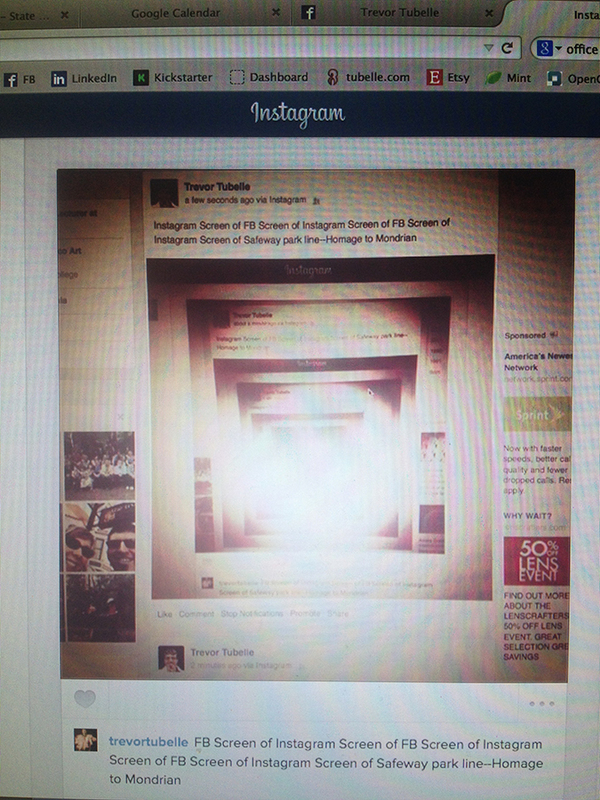 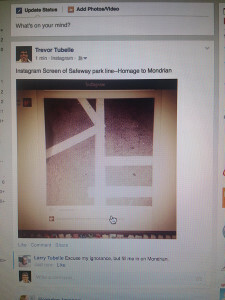 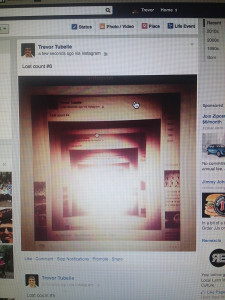 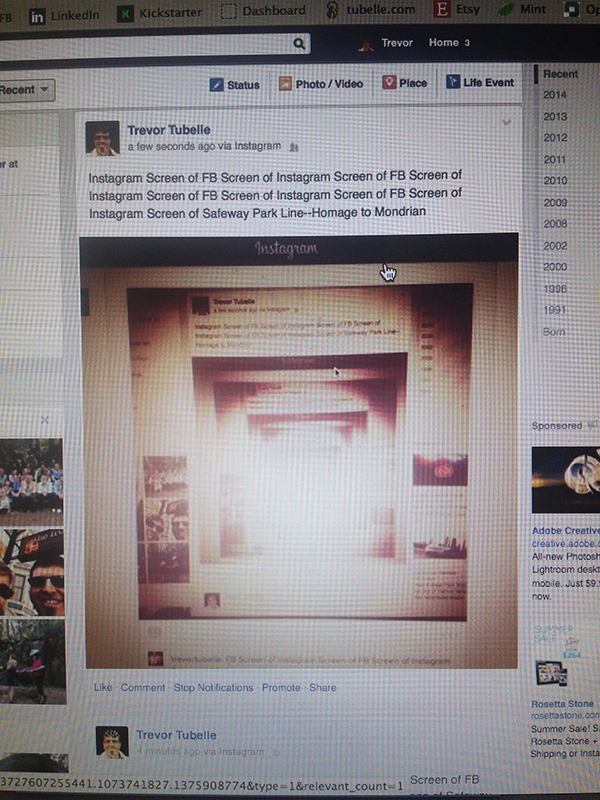 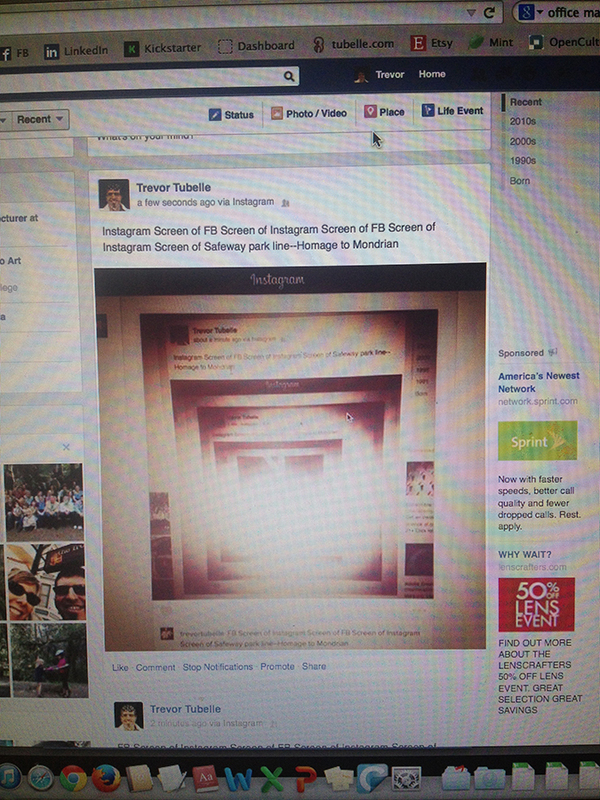 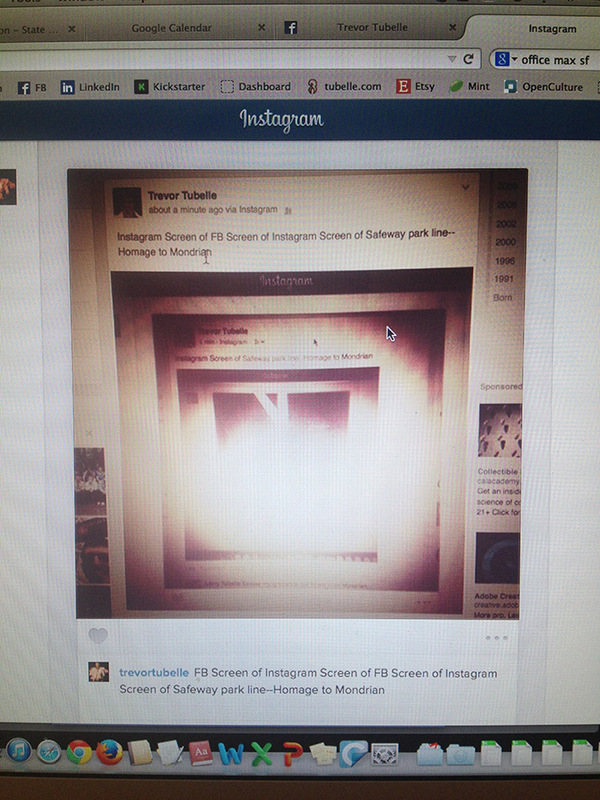 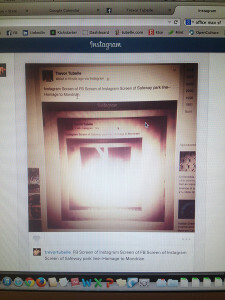 Proceed to quickly and methodically repeat the process over and over, alternating between Instagram and Facebook (e.g., Instagram screen of FB screen of Instagram screen of FB screen of Instagram screen of FB screen of Instagram screen of FB screen of Instagram screen of “Safeway Park Line” photograph). 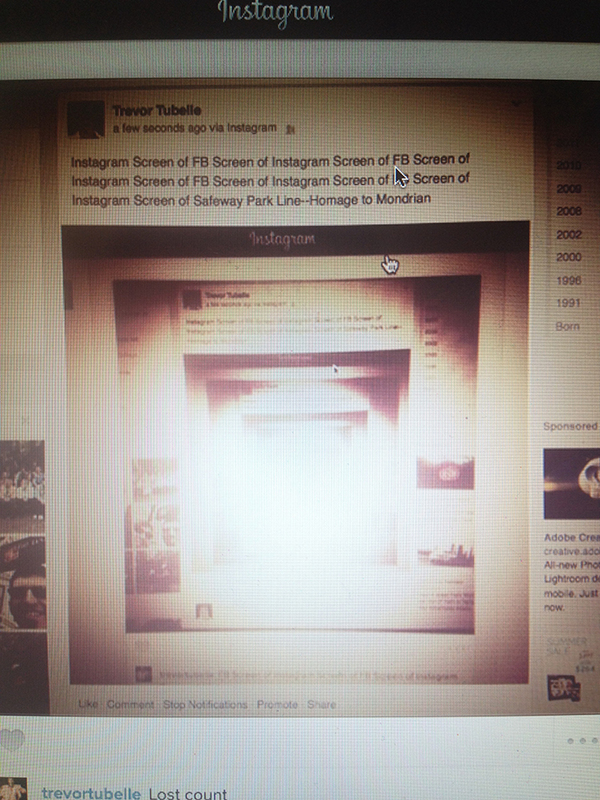 Be prepared to annoy all your “friends” on Instagram and Facebook with lots of posts that all look rather alike. Wonder if anyone can tell that, instead of posting images that are complete and ready for consumption, you are attempting to use the very act of posting (and re-posting) as a method for creating images. 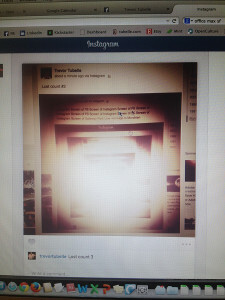 Finally stop around the twenty-first post. You notice that the changes between images are not exactly linear and that an oddly blurry, yet bright, area started growing in the center as each image became more distorted. 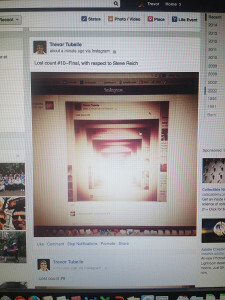 Be reminded of an early experiment with tape by musician Steve Reich, of two stereos facing each other, with the first playing a tape recording and the second recording the tape recording and then switching, so that the second plays the recording of the first while the first then records (and repeat, back and forth, again and again, until the original recording slowly turns into white noise).